Creative Mobile’s Nitro Nation is billed as the “coolest Android racing game,” and with the recent release of Nitro Nation Stories, the series is now in “high gear.” In this game, you’re in control of the meaningfully-named Justin Carr, as you take him through “stunning 3D environments in this thrilling race for revenge and glory.” Unlike other racing games, this game can be enjoyed completely offline, though you can also “connect with other car fanatics” in the few social elements the title has. There are five different modes, tons of upgrades you can perform on your car, as well as a wide range of authentic cars you can drive, including models from BMW, Chevrolet, Dodge, Ford, Jaguar, Volkswagen, and even hypercar makers like Koenigsegg and Pagani. If you want to progress quickly through the game’s “stories,” we have just what you need below. 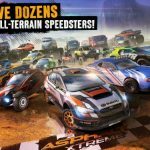 Yes, we do plan to dive deeper into this and give you a more detailed guide to the game, but for now, this Nitro Nation Stories strategy guide will focus on some tips and tricks you can utilize if you’re just starting out in the game. 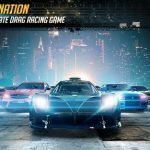 The basic mechanic applies in Nitro Nation Stories as it does in other racing games; you want to go for the perfect start. Like in these other games (e.g. 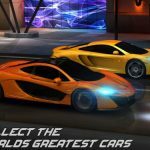 CSR Racing, CSR Classics, etc. ), your goal is to get a perfect start, meaning make sure your odometer is in the green zone once you start your car. Tap quickly, but not too out-of-control so that the needle remains in the green zone. If you do go to the red zone, that’s going to add wheel spin, and that’s going to slow you down, just like if you start with the needle not yet in the green zone. The same mechanic, incidentally, also applies when shifting; try to shift when the needle is in the green zone. This technique takes some practice to pull off successfully, and you need not worry too much if you’ve got a bit (emphasis on a bit) of a slow/wheel spin start, but with a little practice, you should have no problem getting perfect starts most of the time. Perfect starts (and perfect shifts) could earn you some nice bonuses in terms of cash, so go for “perfection” at all times! You can’t expect to keep up with the rest of the pack as the game progresses, which is why it’s paramount that you keep on upgrading your car. You’ll unlock upgrade parts as you keep on winning races, and you want to fill up all five upgrade slots as quickly as possible. Your car’s rating will improve with each successive upgrade, and that should give you the edge you need in the tougher races. Specifically, we suggest unlocking the nitro slot first, as you’ll need that nitrous boost to add some extra speed to your car. Somehow, Creative Mobile had the foresight to add a bit of a twist to this game, making it different from other story-based racing games like the aforementioned CSR series. You can earn some extra money by pulling off a “near miss,” which happens when you switch lanes at the very last second in the slalom levels. These levels, in case you’re unfamiliar with racing jargon, require you to swerve across traffic in order to beat out your opponent. Crates can be purchased off the black market without having to win them in races, and these crates come with some parts inside of them, with the rarity of these parts depending on the type of crate you open. However, buying them could put a dent in your in-game finances, and you don’t want that to happen. Fortunately, the game does give away free crates, including iron crates, which become available every ten minutes and come with common parts. You can open up to five of these crates before waiting for them to become free. Platinum crates, on the other hand, are those that come with super-rare items, and you can only open one for free every two days. To ensure that you don’t miss an opportunity to open a free crate, keep your in-game notifications on, so that you know right away when you’ve got a new crate to open. 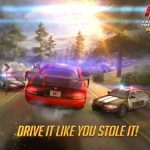 As the story missions could become quite difficult in a hurry, there may be a time where your car doesn’t have the muscle, no pun intended, to win those races and complete those missions. In the meantime, you can compete in the Street Races and Division Races, which come in varying difficulty levels. Winning these races earn you additional upgrades, with the upgrades getting better when you opt for higher difficulty in the Street Races. For now, these would be our tips and tricks for Nitro Nation Stories. Stay tuned, as we will add more tips in the near future.